Cooler Master a well known and respected brand in Cases, Cooling, and other PC Enthusiast gear today has announced the availability of the Cosmos C700M. 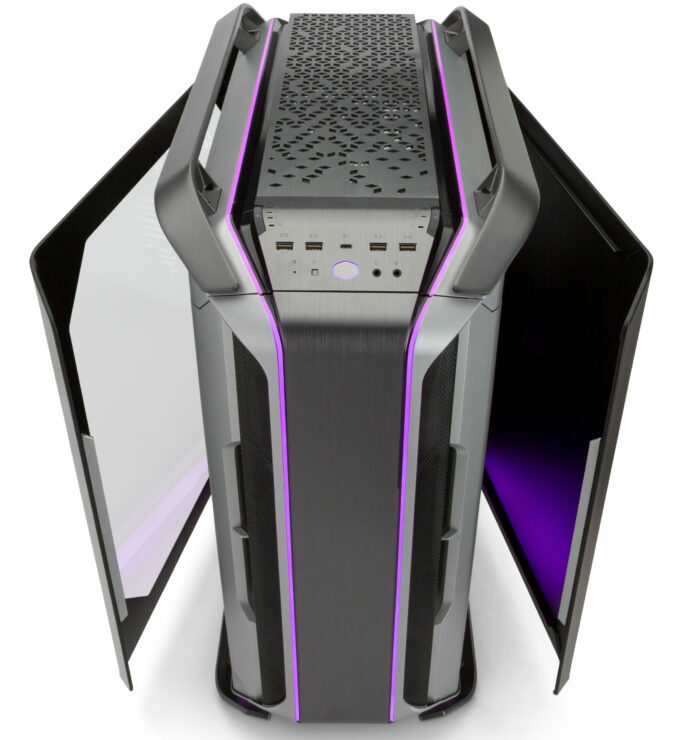 The latest addition to their famed Cosmos series, the Cosmos C700M is among Cooler Master’s top-tier “Maker” segment of products and stands at the technological peak of its lineup. 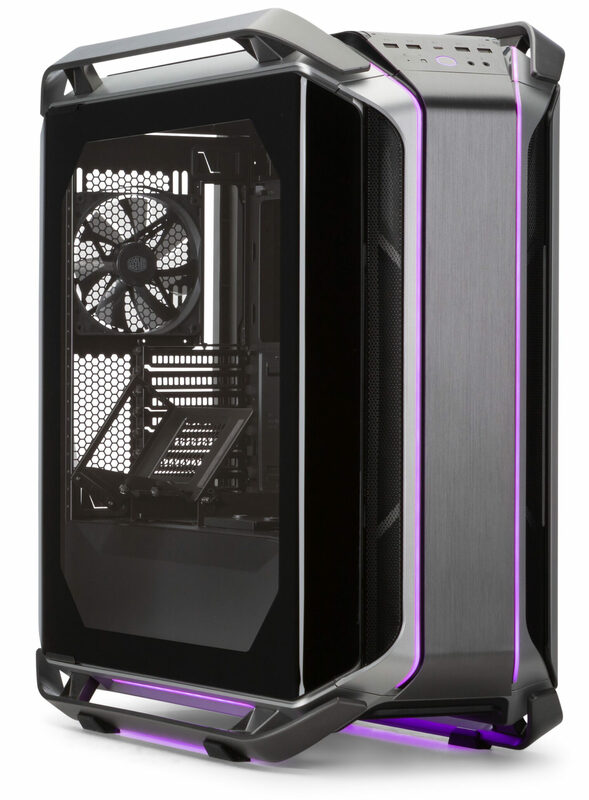 Expanding upon the framework of its well known predecessors, the Cosmos C700M maintains the look of the series’ with aluminum handles and boasts the same dual curved tempered glass side panel as the Cosmos C700P, but this time with a updated lighter tint for a clearer view of the internal layout of the case. Two addressable RGB lighting strips run continuously from the top of the case, down the front and to the bottom, reflecting off the aluminum bars to create ambient lighting. Users can toggle through the lighting modes to create the external look they want by pressing the ARGB control button on the front I/O. Keeping with Cooler Master’s maker spirit, the C700M was designed with a highly versatile layout enabling users to truly “make it theirs” by allowing the motherboard to be mounted traditionally, inversed or in a chimney configuration. In addition, the motherboard tray can completely be removed to allow for building outside of the case before final assembly. Matteo Stracciari – Cooler Master’s Case General Manager. The included 400mm riser cable makes connecting the GPU to the motherboard a seamless process. Further expanding upon modularity the C700M comes equipped with a unique graphics card mount that enables users to display their GPU traditionally, or horizontally. 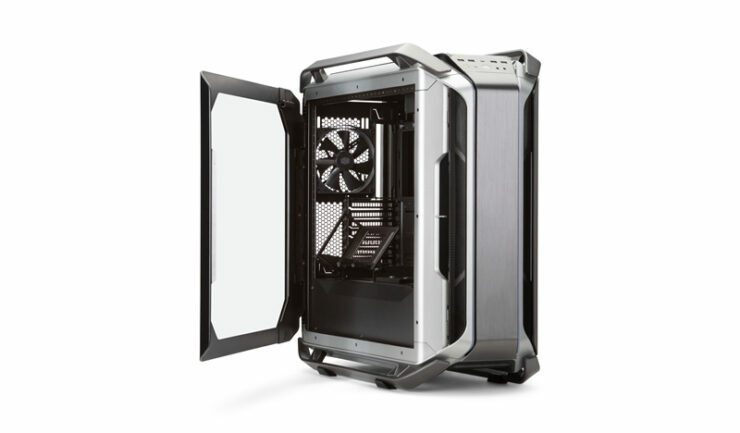 The Cosmos C700M is an ideal case to house a custom loop cooling system. 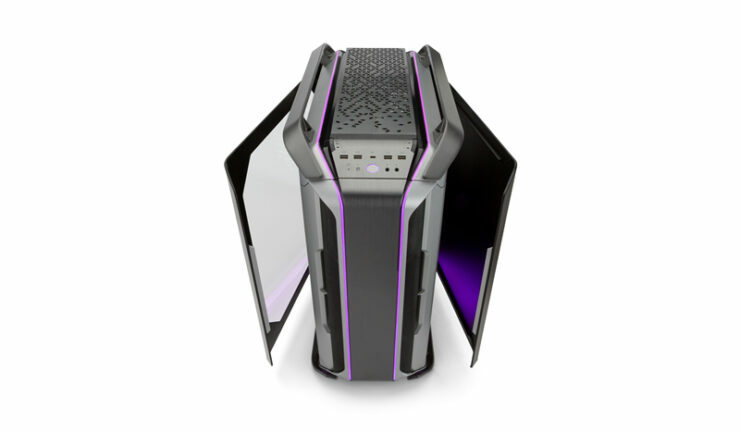 And at this price that should be expected, aside from the sheer size of the C700M, the case comes equipped with three SSD/radiator mounting brackets, one on the PSU midplate and two on the M. Port that double as cable management covers. For users that will use an AIO CPU cooler, two flat brackets that support up to 420mm radiators have been included with the case, one on the front and one on the top for liquid cooling and fan installation. All of this here is great to see and another variant of the Cosmos cases is another great option for the consumer at the above $400 price point. This also is welcoming as the higher end of cases has been seeing growth the past few years.